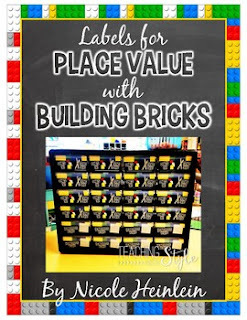 If you are wanting to use LEGO ®️ building bricks to help teach place value in your early elementary classroom, these labels are a perfect way to organize them! I made a class kit for using LEGO ®️ bricks for teaching place value. My students use them for identifying tens and ones, and also for adding one and two-digit numbers.